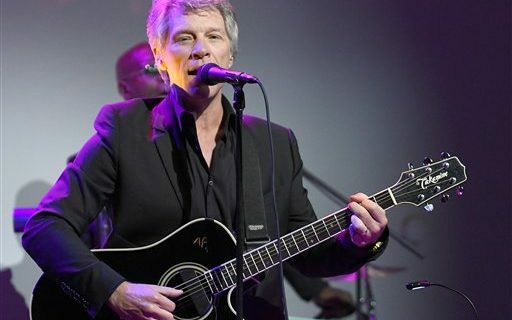 How Would It Be Different If Jon Bon Jovi Bought the Bills? With word this week that Jon Bon Jovi was serious about buying the Bills and claiming he would keep them in Buffalo, sports comedian Jeff Wozer thought about things would be different at One Bills Dive had the New Jersey rocker become the team owner instead of Terry & Kim Pegula. Players fined for tossing drumsticks into the stands. Sean McDermott would coach in a sleeveless denim vest. Bon Jovi would expose Elvis fan as an imposter. Team would play a 17-gig schedule. Players would wear padded leather pants. John Murphy would host his show wearing eyeliner. Bon Jovi would dominate People Magazine’s Annual Sexiest NFL Owner award. For more humorous takes on the Buffalo sports world, visit Jeff’s author’s section at Buffalo Sports Page.